I’ve been mixing this up a lot lately. Three friends have had babies in the last few weeks. 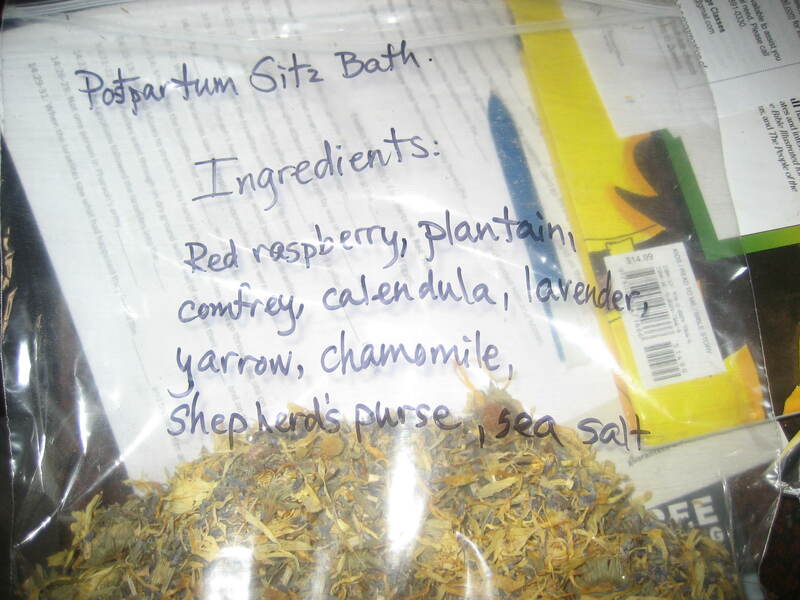 I didn’t discover herbal sitz baths for postpartum use until my second child. This is one of my favorite remedies. It makes a great gift for a new mom. It really helps speed and facilitate postpartum healing. Be sure to bathe the baby too. This mix will help disinfect and heal the baby’s cord stump. All of these herbs are helpful in some way. Opinions may vary, but I think the most important to postpartum healing are shepherd’s purse, yarrow and red raspberry. But, if you don’t have one of the herbs below, that’s okay. They are all beneficial in some way. Just omit the ones you are missing and substitute more of one of the others in the list. Keep in mind though that lavender, yarrow and shepherd’s purse are fairly potent and should not be used in excess. Use the others as the base herbs and add lavender, yarrow and shepherd’s purse in moderation. A little of those goes a long way. Also, chamomile and yarrow should be avoided if you have an allergy to sunflower, safflower or dandelion. Use wisely. Read my Disclaimer here. All bagged up ready to pass along to a friend. To use, steep one cup of the herb mix in four cups of water to make a strong tea. Strain the herbs an add the tea to your bath water. You can also add this to your peri-bottle and apply after you go to the bathroom to disinfect and heal. Where do I get these herbs you ask? 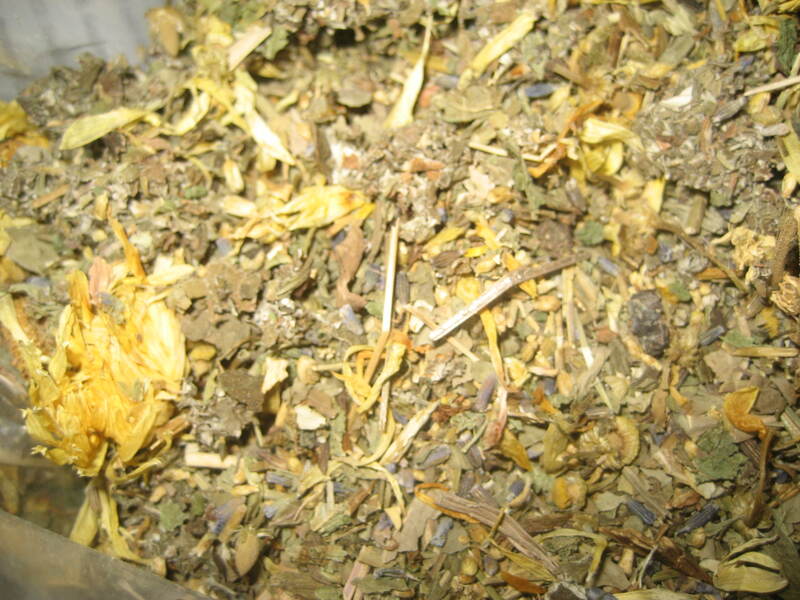 My favorite places to order herbs are The Bulk Herb Store and Mountain Rose Herbs. This entry was posted in Baby, Body, Herbs, Remedies. Bookmark the permalink. No time for a sitz bath? My first midwife had me mix the tea and then fill my peri bottle half full with the tea. Finish filling with hot water and use whenever using your peri bottle. It still helps healing, though less relaxing than a nice bath! Good suggestion Natalie. I forgot I did that with the last baby. I’ll add that as an idea to the post. Thanks!